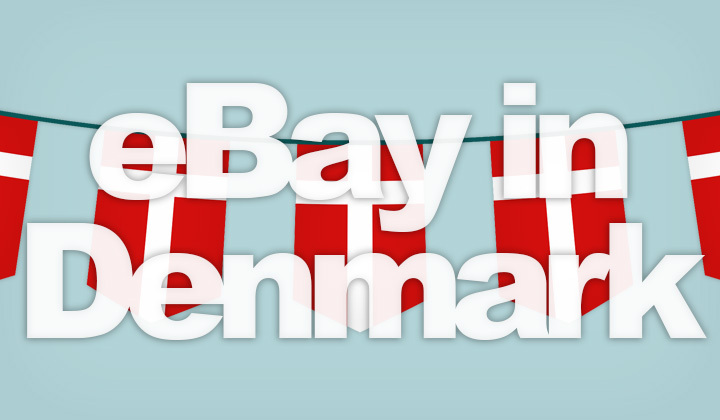 Danish websites most similar to eBay are classic-style classified ad sites, and so with the lack of competition, eBay itself is very popular in Denmark. While Danish language is not supported, most users from Denmark are comfortable with the English interface. Therefore it has become a good alternative for buying, selling & auctioning items in Denmark or the rest of Europe, import tax free. Also eBay supports online shopping in the Danish krone currency. Step 2. Select the “Advanced” search, right besides the Search button. Step 3. Scroll down for the “Location” settings. Step 4. Choose Denmark in the “Located in” drop-down menu. Step 5. Search items directly from Danish eBay sellers! Shopping throughout the free trade jurisdiction of the EU is commonplace, with affordable and fast shipping options, free from import duties. Step 3. Check the tick box that says “Europe”, under “Item Location”. You’ll find this from the left side of all search pages. Inorder to see the pricing of all items in Danish krone, you will need to be located in Denmark or carry a Danish IP address for country identification. Unfortunately, there is no other way around this restriction. All prices are then automatically converted to DKK for convenient shopping. You can also revert back to USD or the original item currency in the View Options. Select “Customize” and unselect the tick box that says “Covert prices to DKK”. Abundant with buyers from Denmark, eBay.com is also a convenient place for both local and international sellers to reach consumers there. All with the convenience of an easy, English language seller interface and around-the-clock support. Read about the Global Shipping Program on eBay for businesses, it supports international shipping to Denmark, the rest of Scandinavia and entire Europe. There is no seriously competing, or English version, equivalent seller/buyer and auctioning site in Denmark. Traditional classified-style portals are the most similar to eBay, and still very popular in the country amongst individual trade. Self proclaimed “Denmark’s largest trading portal” is the biggest alternative to eBay in the country, and facilitates sales between private individuals only. The company was founded back in 1981, and started as a Danish newspaper. The online version of the marketplace was launched in 1995. And much later in 2008 it was officialy sold to and acquired by eBay itself. The newspaper terminated operations in 2014, but the company still employs approximately 200 employees in it’s headquarters in Aarhus and Frederiksberg, Denmark. The website is only available in Danish language and targets individuals who are physically located within Denmark. This is also one of Denmark’s largest e-commerce websites, and goes with the slogan; “New & used items throughout Denmark”. Besides their online market place, they publish a newspaper with classified ads. The company was founded in 1991. The website is also only available in the Danish language and mostly targeted at individuals living in the country (please, see link above). Please note, that neither sites offer buyer protection features similar to eBay. Which is why they are predominantly used for casually traded, used items. I hope that I’ve answered the question, if there is eBay in Denmark? Suggestions welcome for other sites like eBay, & it’s alternatives! The TLD eBay.dk for Denmark is simply a redirection to the international version at eBay.com, which is the recommended version for Danish users. And note to my dear readers.. some of similar to, sites like, etc. posts on my blog may contain affiliate links to support the work put behind the research. Your voluntary clicks are much appreciated. Thank you for your kindness, David.